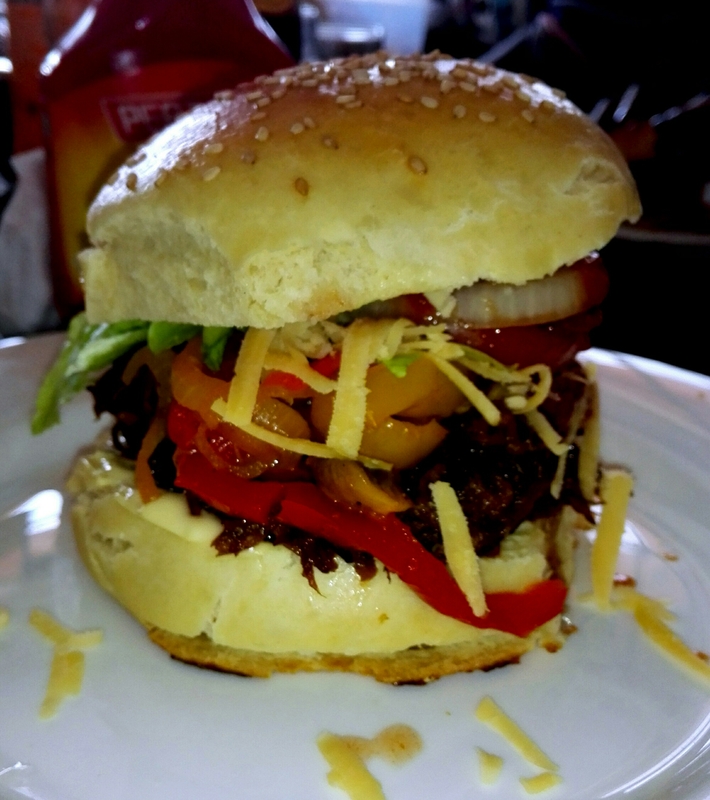 Last Saturday weekend i had a few of my friends over for a cookout and on my menu were this amazing saucy pulled pork burgers that really went well with sauteed mushrooms & sweet chilli peppers.well need i say more they loved it and am sure you will considering how simple and easy this is. Ideally you need a slow cooker but need you not worry i don’t own one too.A pressure cooker or a normal ‘sufuria’ will do just fine,i happened to own a pressure cooker and a ‘jiko’ since i figured out preparing this on my gas cooker would be a bit too expensive for me,but hey,whatever floats your goat. 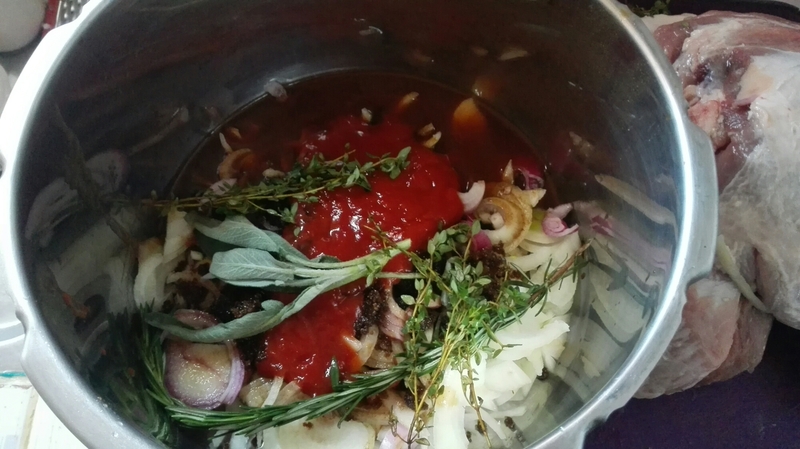 Chop up 2(one yellow one red) onions into sizable chunks and place into the pot,add the ketchup, Worcestershire sauce,black pepper,chilli,brown sugar,sage,thyme,Rosemary and finally salt to taste.Mix them up. 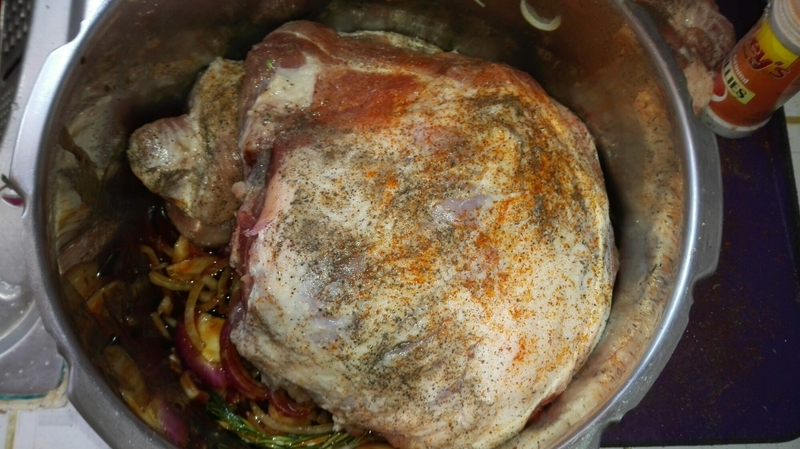 Season your pork shoulder with salt pepper and some paprika(chilli powder) can be used to suit your taste.Sit your pork on top of the onions and herb mixture.If using a ‘sufuria’ or a pressure cooker have it about half full with water,for a slow cooker 1cup of water will do just right. Have it put on heat about 8 hours on the slow cooker,5 hour’s in a Sufuria or 31/2hours in a pressure cooker,the best part about this recipe is that you can never over cook it,the longer it cooks the better it gets. 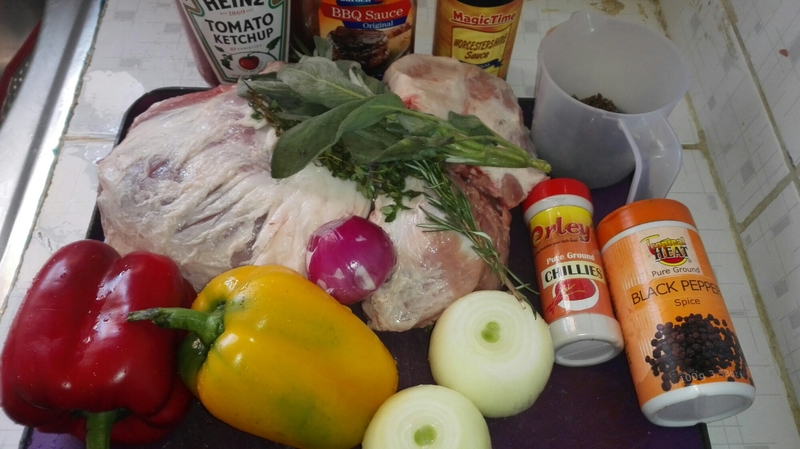 When done,you take your pork place it in a bowl and using a fork or your hands,pull them apart,you then mix in your barbeque sauce and set aside. 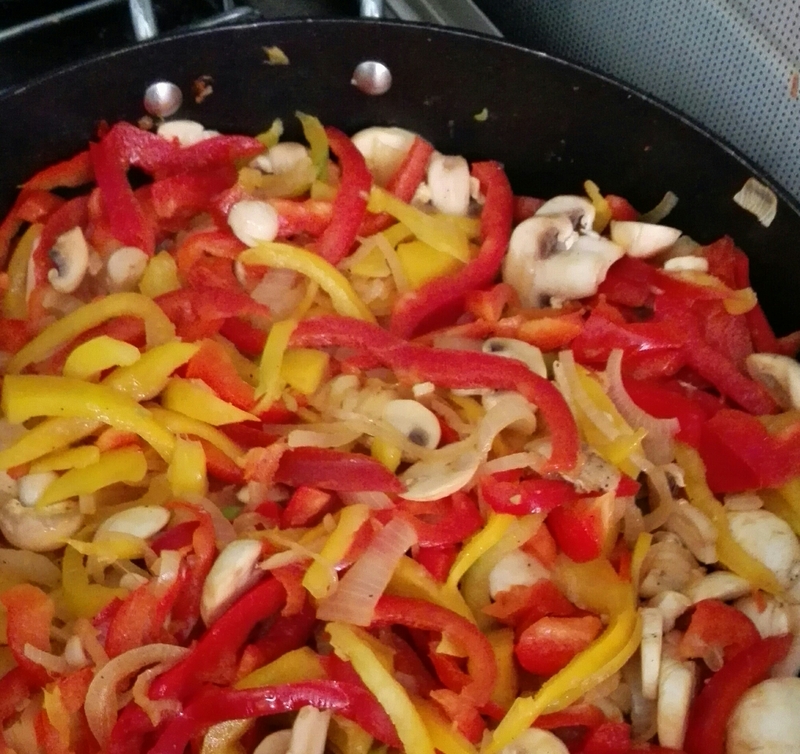 Chop up the remaining onion and the sweet pepper’s.Add about a table spoon of cooking oil in a pan and saute the onions till soft,add in the peppers and the mushrooms.You can add a cup of water,chicken broth as for me i used white wine adds unbelievable flavour to the veggies, season with salt and pepper and cook till done. And you are set to go,spread your buns with mayonnaise,mustard or whatever suits you.Add in your pulled pork,sweet chilli peppers, tomatoes,cheddar cheese,onion, lettuce and dig in. Tell me how it goes and feel free to ask questions. Enjoy. I will share my recipe on making those sweet home made burger buns,you will fall in love with them. Love it. I will try this recipe with some chicken. Thanks for inspiring me to cook more. 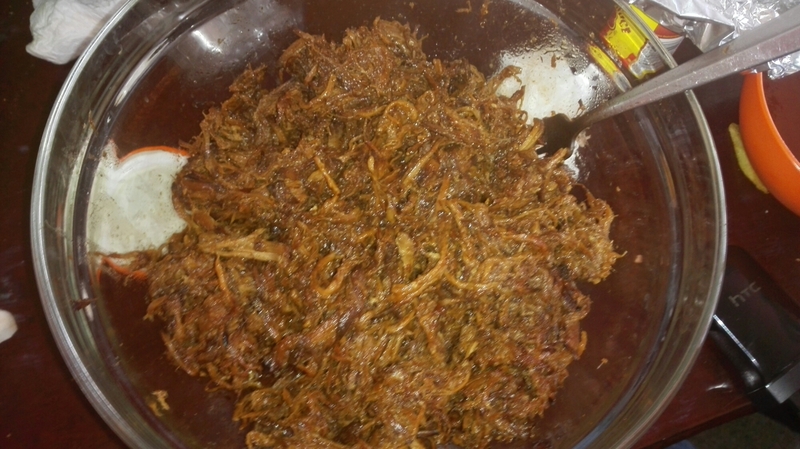 I just made a pulled pork sandwich. This looks awesome!